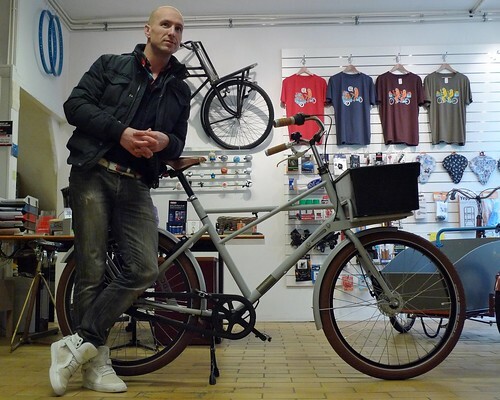 Bakfiets en Meer » Workcycles Fr8 vs. Gr8: What’s the Difference? Almost daily we’re asked “What’s the difference between the Workcycles Fr8 and Gr8?” or “Would a Fr8 or Gr8 be better for my needs?”. They’re certainly fair questions considering that, at least in photos, the two bikes look very similar. There’s also no significant difference in price, the component options are similar and most of the same modular carriers fit as well. 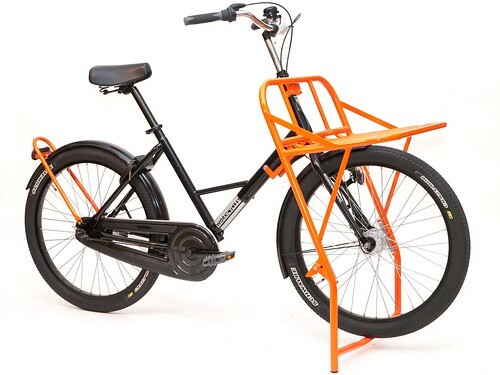 Both Fr8 and Gr8 have Workcycles’ unique Adaptive Seat Tube so they fit an amazing range of riders. They really, really are two very different bikes though. 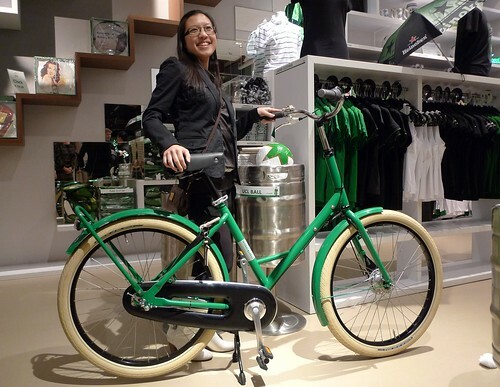 Otherwise little Workcycles wouldn’t be squandering our limited time building two bikes instead of one. The Fr8 (“Freight” or “Vracht”) is the super versatile load carrier. It’s long wheelbase, load specific geometry and extremely heavy duty construction make it ideal for transporting heavy stuff. The Fr8 can be equipped to safely and comfortably carry the whole family, 250kg of rider and deliveries, or really big (in length or girth) riders. 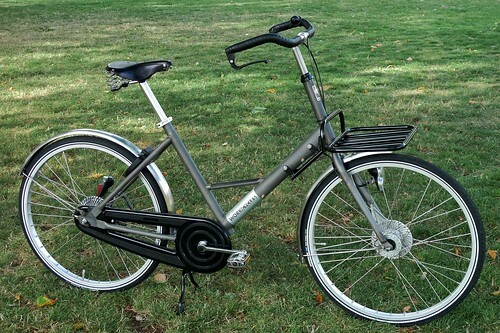 The Gr8 (“Great” or “Gracht”) is our hyper versatile city bike. Though nearly as tough as big brother Fr8, the Gr8 has a much shorter wheelbase with steering geometry tuned to be much more responsive and fun. It’s several kilos lighter than the Fr8 which is handy as a personal bike though rather irrelevant as a family or load carrier. The Gr8’s frame ergonomics are also smaller than the Fr8 in both height and length so it fits almost the smallest of adults but will feel smallish for very tall men. 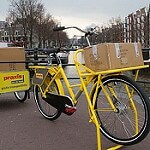 Thus Fr8 = load carrier bike and Gr8 = city bike. 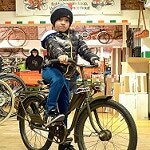 But wait, can’t I use the Gr8 as a smaller, lighter family bike or the Fr8 as a city bike? Of course you can, but there are trade-offs. Read on. First came the Fr8 in 2008. 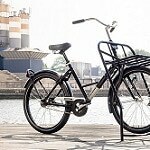 From the earliest concept sketches the Fr8 was to be THE modern Dutch transport bike. The Fr8 got a very long wheelbase, ultra heavy duty frame construction and geometry tuned for extreme stability under all imaginable loads. 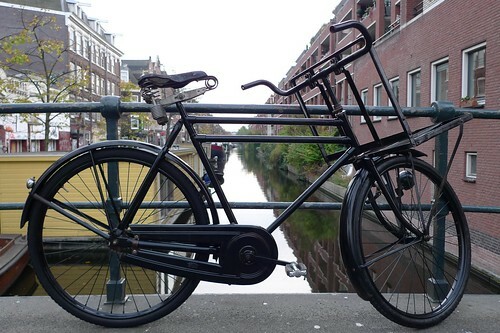 Back in the day Dutch transport bikes (transportfietsen) were used solely as commercial vehicles but in the modern world heavy duty bikes are largely used by individuals and families to get around the city. Accordingly the Fr8 was designed from the outset to be suitable for personal, family and commercial applications. The Fr8 quickly gained something of a cult following, not surprisingly amongst various groups of customers. 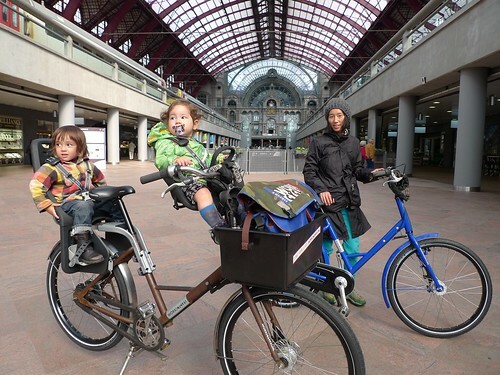 The largest number were naturally families since the Fr8 is the handiest way to carry two or three kids without a bakfiets. Actually many Fr8’s are owned by families that also have a bakfiets. This would be the Dutch equivalent of the two car family. 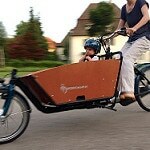 For example I have a Fr8 and my wife a bakfiets. Each bike can carry our two kids but sometimes one is just handier than the other. In the snow the bakfiets is safer with the kids. When it’s raining cats and dogs the bakfiets canopy is invaluable. But when the Dutch winds are blowing gale force and I have to continue across town after dropping the kids off I’ll take the Fr8 thank you. Other Fr8 cults? Small businesses loading them up with absurd stacks of crates, really huge guys who crush normal bikes like grapes, and designers continually raising the bar for the coolest custom Fr8. Already within a year of introducing the Fr8 it became clear that a more civilian little brother would be a great addition to the line. Many customers loved the Fr8’s design, modular construction, universal fit and quality but didn’t really need a heavy duty transport bike. We built several prototypes of “city bike Fr8 variants” but they ended up being too close to the original Fr8 to be worth producing. 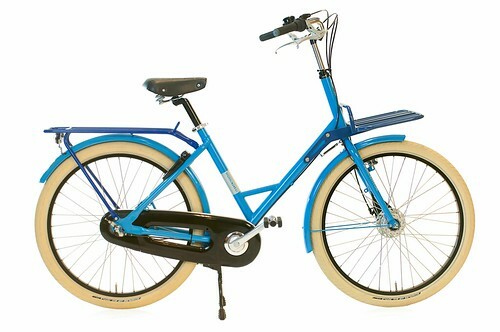 We tried, for example, larger wheels with skinnier tires and a much lighter frame with the same geometry. The resulting bikes were very pleasant to ride but just felt like slightly lighter (but far less versatile) Fr8’s. Seeing that just shaving a couple kilos from the Fr8 didn’t justify a new model we decided the Gr8 (it now had a name) had to be much more different. The actual mass seemed to be secondary to the overall size of the bike. The Fr8 is a big bike and has to be big to do what it does. The Gr8’s frame could be far more compact and tuned for riding with a light or no load. 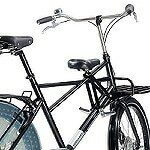 With it’s shorter frame, smaller tires, tubes, fenders, rear carrier and several other parts it would become much lighter without sacrificing stiffness or strength. 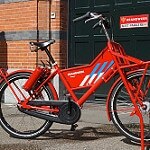 The focus shifted thus to reducing the size of the Gr8 as much as possible while still remaining a full-sized Dutch bike. Of course the Gr8 would still have to fit a broad range of riders often with a (child or adult) passenger. Once we’d decided on the direction the design brief became clear and the development straightforward. The Fr8’s monotube frame is iconic and works perfectly so the Gr8 got it too. We dialed in the “as compact as possible” geometry, designed a simpler rear carrier, chose the parts and started building Gr8’s. The familial resemblance between the two bikes is obvious, though perhaps from a marketing perspective it’s actually too strong. Since practically everything on the Gr8 has been scaled down in comparison to the Fr8 they ironically end up looking almost the same in photos. In person the difference is immediately obvious; the Gr8 is as close-coupled and compact as the Fr8 is big. 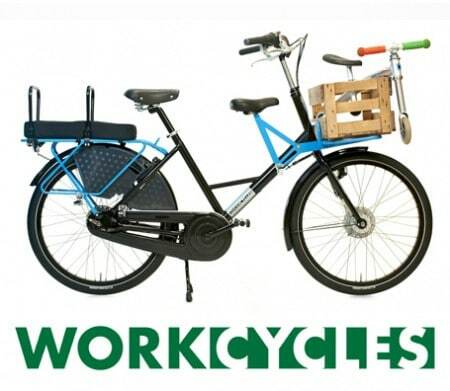 Well, once again Workcycles handily demonstrates that we’re great at building bikes but not too sharp about marketing them. The Fr8’s (Universal frame) seat tube is effectively 50cm long and riders of 160cm and taller are usually comfortable on it. Actually riders quite a bit shorter can also ride the Fr8 if their legs are on the longer side. 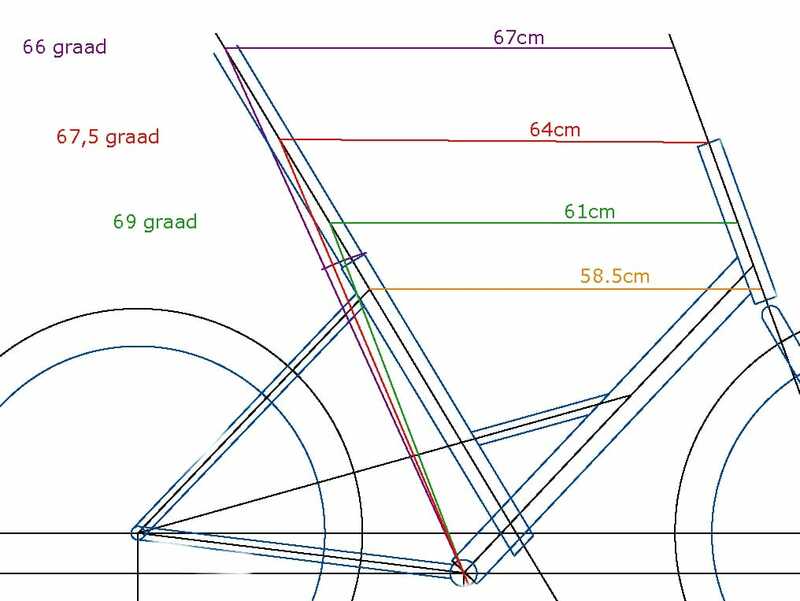 The Gr8’s seat tube is 2cm shorter and the crank axle is also 1cm lower making it suitable for even smaller riders. The Gr8 is usually small enough for those of about 150-155cm. 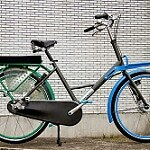 Workcycles Adaptive Seat Tube design that enables a bike to properly fit an extraordinary range of rider sizes. It’s already well known that the Fr8 fits tall riders really well, but how about the Gr8? Well, though it wasn’t one of the main design objectives it actually works quite well, thanks largely to our Adaptive Seat Tube Geometry. The standard 400mm seat post is long enough to adjust the saddle for riders up to about 195cm. With our XL seat post the seat can be raised much higher but at some point the handlebar will be too low for most people’s comfort. 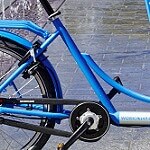 Of course a handlebar with more rise could be fitted but this would also require fitting longer brake and gear cables. The mounting points for the front and rear carriers are the same on both Fr8 and Gr8. Our frame-mounted City front carrier fits both models but the Massive Rack is only for the Fr8. The Fr8’s advertising board will not fit the Gr8. At all. The Gr8 has its own, lighter and slightly shorter rear carrier, which also fits on the Fr8. The Fr8’s long rear carrier will also fit perfectly on the Gr8… but the rear end of the Gr8 really isn’t long enough for two child seats, even with the Fr8’s carrier. 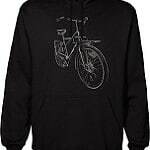 How about outfitting a Gr8 as a “lighter” family bike? The Fr8 front child saddle will fit the Gr8 but actually riding with it is not as comfortable as on the Fr8 because the Gr8 is considerable shorter from your saddle to handlebars (“rider compartment”). Most parents can ride a Fr8 with a child on this saddle almost totally normally. On the Gr8 you’ll have to splay your knees somewhat outward to pedal, which is fine for very short trips but annoying for longer ones. The same length difference above also applies to front child seats. The Fr8’s “rider compartment” is very roomy and it’s head tube very tall, combined there’s lots of room to sit and pedal behind/under a child seat. 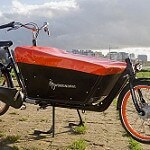 The Gr8’s rider compartment is proportioned more like a regular Dutch bike (albeit a highly adjustable one). Thus, yes a front child seat will fit but it’s going to be a bit of a squeeze back there and you’ll likely have to spread your knees at least a little to avoid hitting the child seat when pedalling. 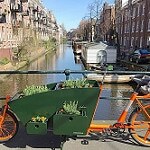 When you rely on your bike Amsterdam style this is how you often roll. Weight-wise the Gr8 is about 3kg lighter. 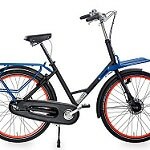 When comparing stripped bikes that’s a substantial difference (say 21kg vs. 24kg) but once we’ve added carriers, child seating amenities, a sturdy plastic bin and and hefty chain lock it begins to look rather small (perhaps 30kg vs. 33kg). Now we’ll add some reality in the form of an adult rider, a child, a kid’s backpack and some groceries. For myself with my almost five year old on our Fr8 this adds up to about 140kg, or 137kg if we were on a Gr8. That’s only a 2% difference which I’d never feel in my legs or lungs, and I actually often ride with two kids instead of one. What does make a difference though is that the Fr8 is much more comfortable to pedal with a child in front, and it’s rock-stable handling is relatively undisturbed when my son abruptly turns and waves to friends while we ride. The Gr8 is a solid bike too but such activities will pull you around more. Thus between the differences in space for young passengers front and rear and the handling differences I really only recommend choosing the Gr8 as family transporter if either you’re quite small or you’ll be carrying the kids only a small portion of your time on the bike. The Finnish blog Tavarafillari tested and compared the Fr8 and Gr8. The review is in Finnish but you can read it in bad English using Google Translate. Todd, When we include the tires and tubes the Gr8’s wheels are actually quite a bit lighter than those of the Fr8. The hubs are necessarily the same and weight savings in the rims and spokes would be small and cost too much. 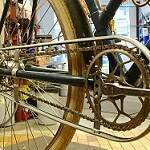 They’re not particularly heavy parts to begin with and it’s enormously advantageous for Workcycles and our dealers to build and repair both Fr8’s and Gr8’s with the same wheels. Kr8 will use the same rear wheel as well. OK. So which different tyres come standard on the two bikes? Thanks for this article. 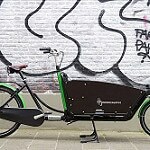 I hope there could be an article considering omafiets, secret service and Fr8/Gr8 as a family bike. What size tires are on the Fr8 and Gr9? The Fr8 has 559-55mm tires and the Gr8 559-50mm. I’m 5’1″ in height so quite short. I notice you say that shorter riders would fit on the Fr8 if they’ve got longer legs. I think mine are only slightly longer. Hi Foe, You’re indeed on the edge there. 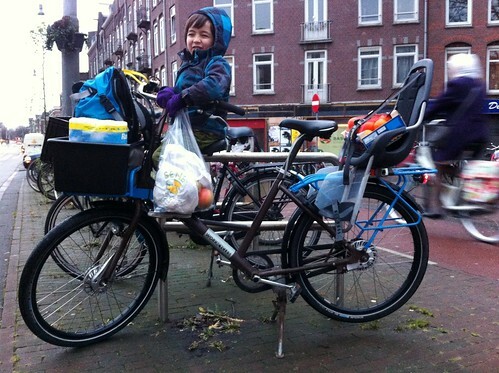 In principle the Fr8 is more suitable for cycling with two kids and groceries. We do also have a different saddle that’s a couple centimeters lower than the standard model for smaller riders. That’s usually enough to make the difference. How high is your saddle, measured from the top of the pedal surface with the crank down and parallel to the seat tube, to the top of the saddle at the middle? Thank you for the quick response. I’ve just measure on my husband’s bike (mine got stolen a few weeks ago) and it’s 74cm. It would push to 76cm most probably as my knees have a bit of a bend sitting on the bike with the crank/pedal down. Hi Foe, I just measured a Fr8 with normal saddle: 76cm is the lowest saddle height. With another saddle it can be about 2cm lower, and we’ve also shortened the seat tube by 1cm a few times. In other words it should be just fine. Yayy, that’s great news, . Am I able to get this option of a lower saddle and shortened seat tube from any UK dealers or do I need to get it straight from you? Is there any extra charge for that? I’d love to get a name plate added too, is that removable? (just thinking ahead for the future when I come to sell it-if I do!). Do you offer finance or an instalment plan? What would the cost of postage be to the UK? Many thanks. For the lower saddle we can just pass the info and part number along to the dealer for them to order it. The seat tube we can modify via the dealer. Yes, both come with a moderate surcharge. The name plate is very permanent. It’s a laser cut piece of steel welded into the frame, replacing a structural member. It cannot be removed without extensive surgery and repainting. We do not have any financing program. For pricing info you’ll have to contact us by email but if you have a dealer locally we prefer you purchase through them.